We don't get through to Glasgow as much as we'd like but when we heard that Sun Jellies were having a tea party we knew we couldn't miss it. Their fun retro-inspired bags have been on our radar for a while, what with their vibrant range of colours and nostalgic style. 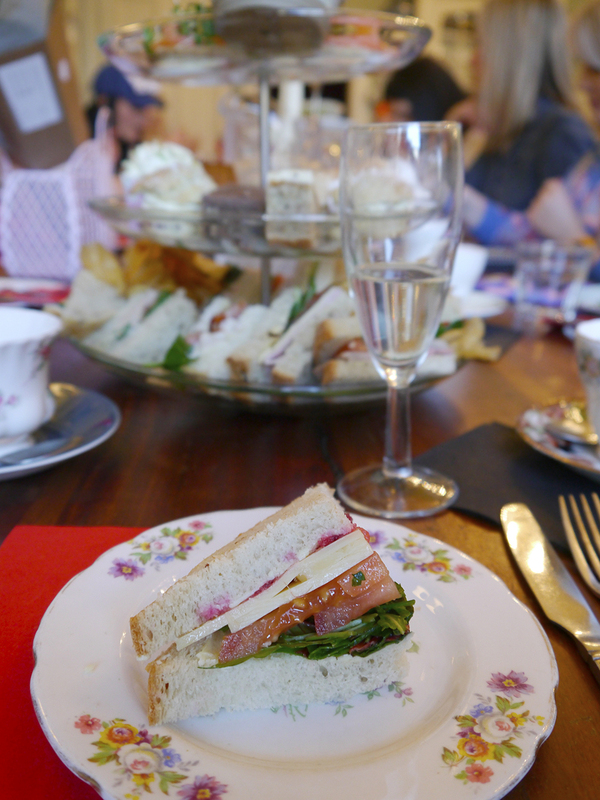 We were even more excited to hear that this little shindig was being held in The Butterfly and the Pig, one of our favourite afternoon tea spots in the city. It certainly didn't disappoint! 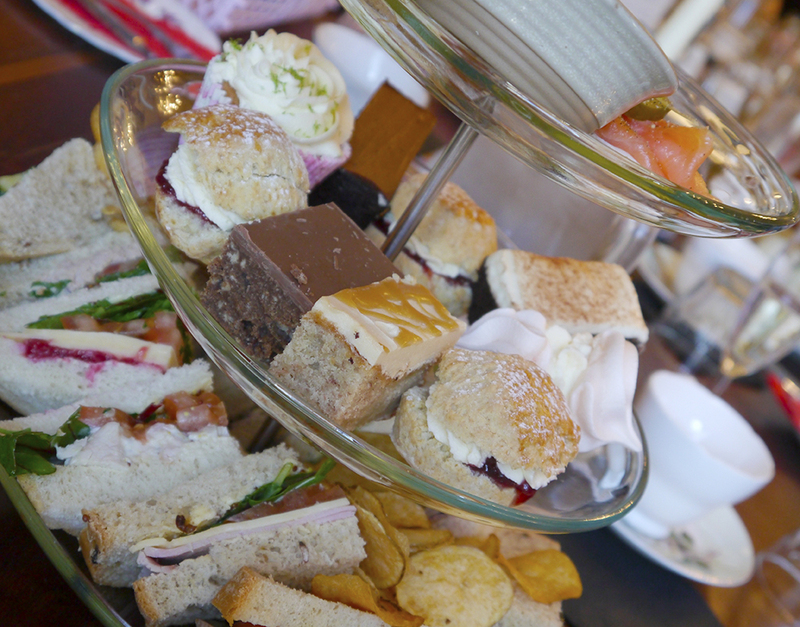 The fizz was flowing and there was a mountain of sandwiches and cakes to get through, all of it delicious. After filling up on tasty treats we had the opportunity to have a look at some fun new Sun Jellies designs, all perfect for (what will hopefully be) the warmer months ahead. With a Mardis Gras theme each design is bright and bold, just the way we like them. From the small (but still spacious) Carnival bag in a selection of neon colours, to the larger Atomic Totes in pastel hues and the many fruity looks of the Fiesta Shopper. Add those to their classic Retro Baskets and you have a whole lot of good stuff to choose from. 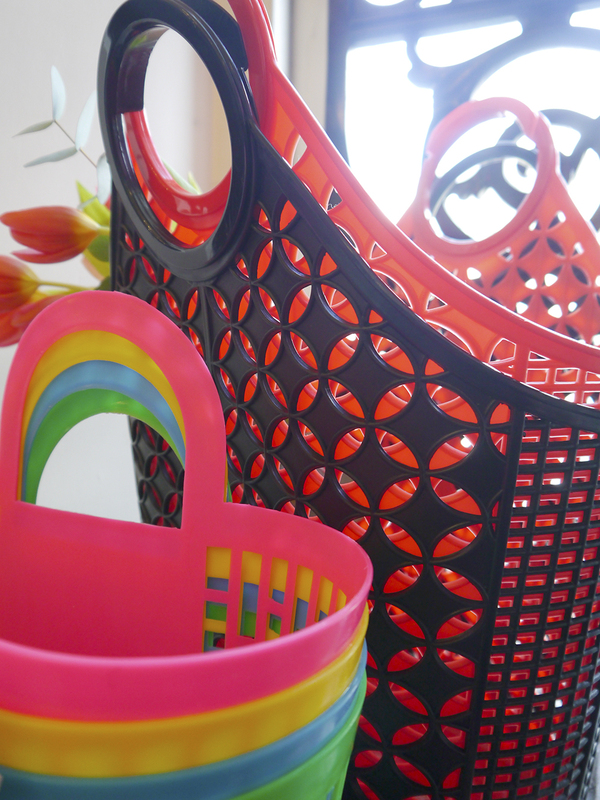 We love how versatile these bags are; they brighten up any outfit, make for an excellent storage solution and mean carrying your shopping home from the supermarket is easy and stylish. Plus, we're pretty sure they'd make the perfect beach bag. Can it be summer already so we can test out this theory? 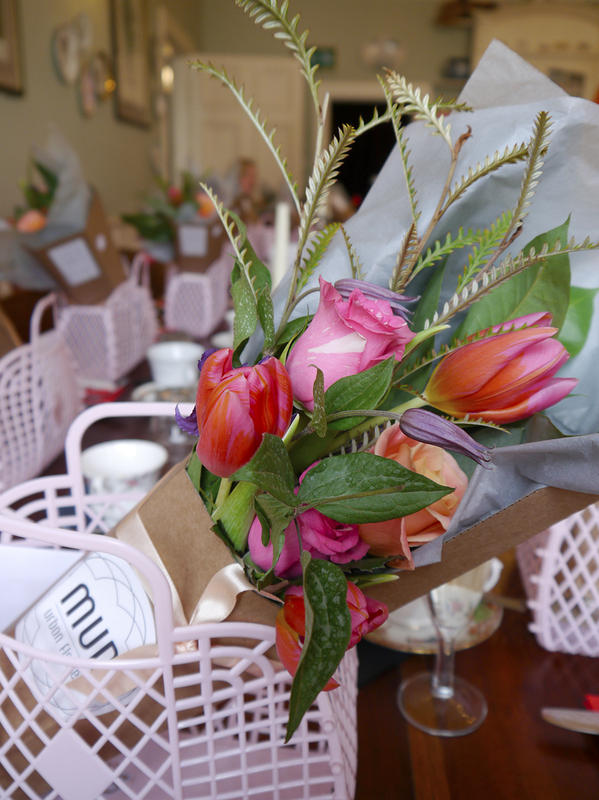 Alongside the range of bags, the tea room was brightened up by some blooms from Mud Urban Flowers. 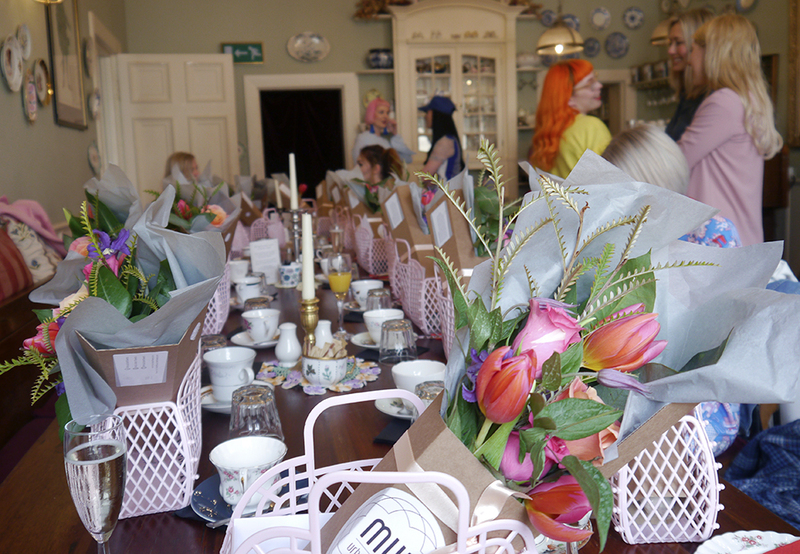 Based in Glasgow, they create the most beautiful bouquets and deliver them in the perfect packaging. Unfortunately they only deliver in Glasgow but we've been enjoying stalking their beautiful stems on Instagram and can't wait to see more from this vibrant new company. We finished off this wonderful afternoon with a spot of colouring in. The adorable cut-out paper doll design was created by our favourite scarf queen, Karen Mabon. We think it fits the Sun Jellies brand perfectly- even if some of us found the colouring in aspect more stressful than therapeutic! While we were there we got a sneak peek of a prototype of another design and we can assure you that Sun Jellies have even more good stuff up their sleeve! Take a look at their great range of fun bags and let us know your favourites.